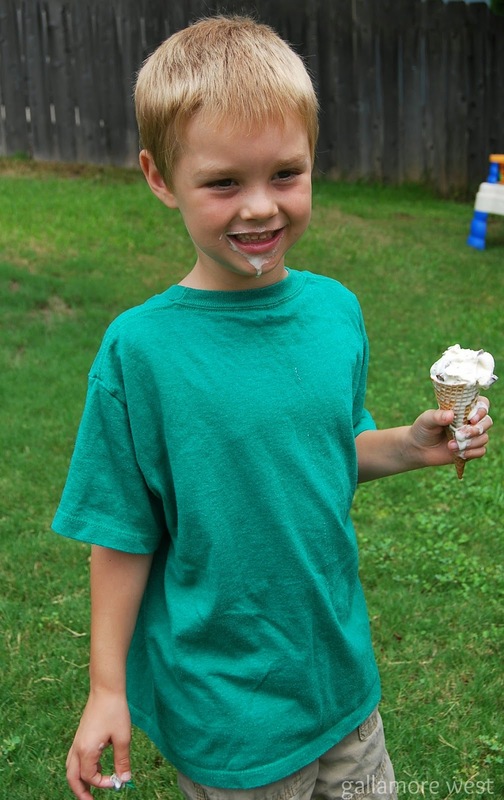 gallamore west: Homemade Vanilla Ice Cream Recipe Made 4 Different Ways! 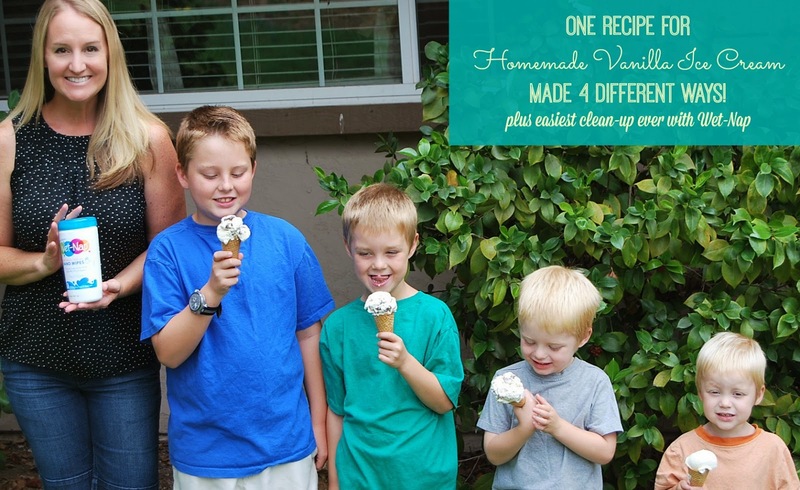 Homemade Vanilla Ice Cream Recipe Made 4 Different Ways! 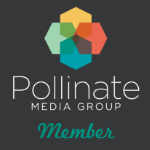 Summer is in full-swing here for another month and we love finding creative, fun things to do at home that don't cost a lot of money. 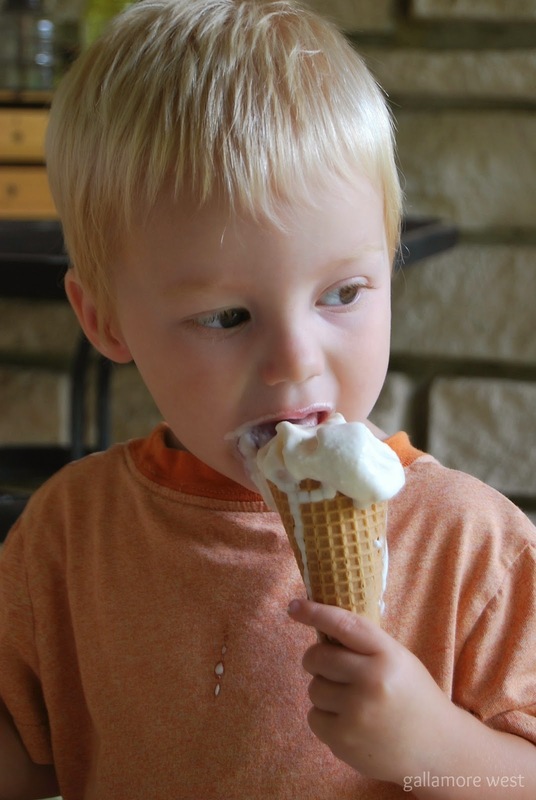 One of our favorite summer fun things to do is make homemade ice cream. The boys love helping me come up with new ideas of what kind to make, and their favorite part is eating their latest creation, of course! Today I'm showing you how easy it is to make 4 different ice cream flavors with one basic Vanilla Ice Cream recipe, and how easy cleaning up your kids is with Wet-Nap. Measure out all of your ingredients. Fact: Homemade ice cream tastes better when your ingredients are measured out in your Pyrex & Corelle bowls handed down from your mom. Add the sugar into the milk and stir until the sugar is dissolved. 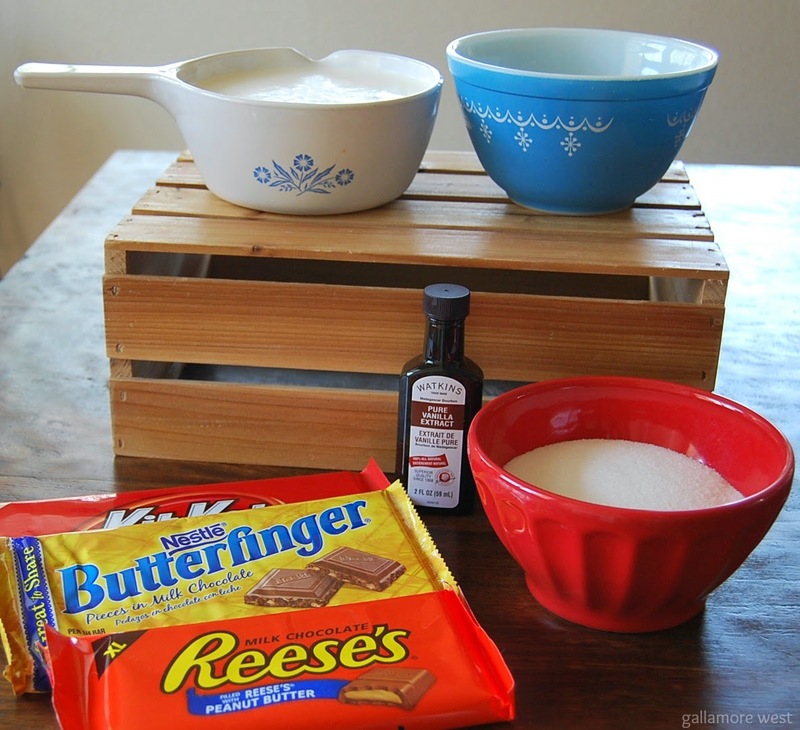 Pour the heavy cream, milk/sugar, and vanilla extract into your ice cream maker. Then just turn it on and let it do its magic (for about 30 minutes or so). 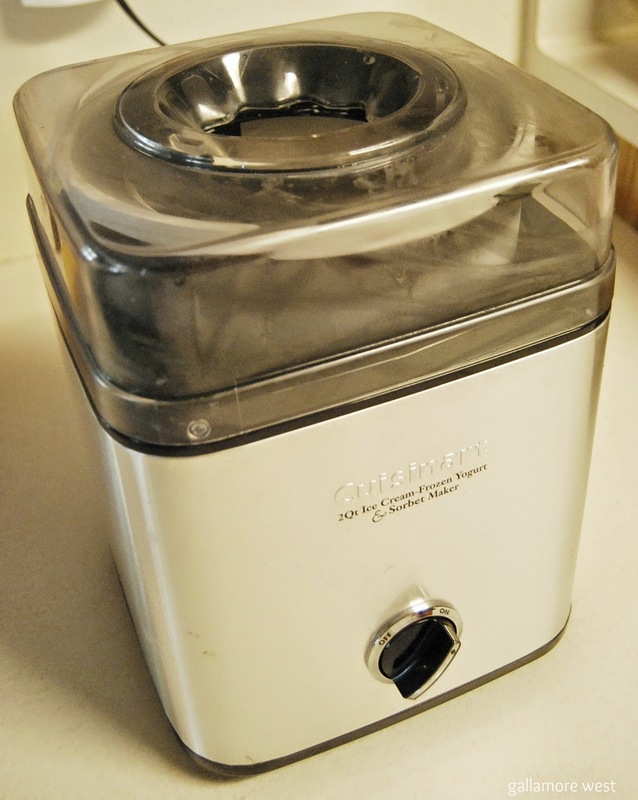 I got this ice cream maker for my birthday last summer and we LOVE it! 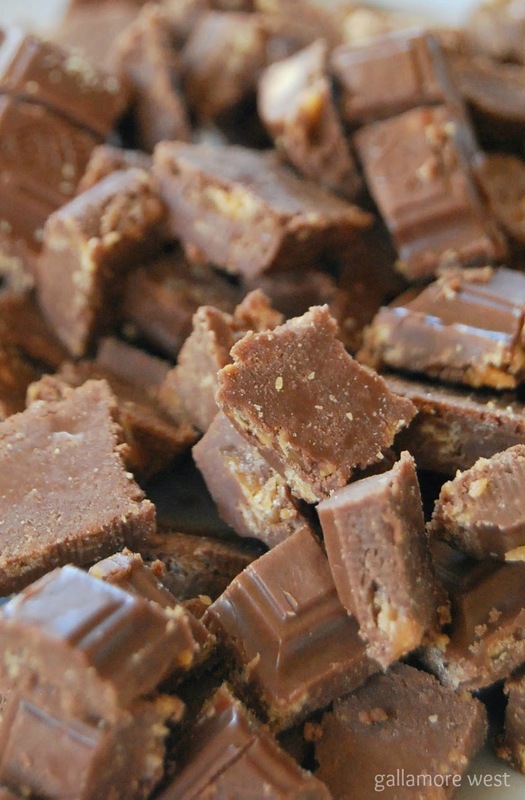 While your ice cream is churning, prep your mix-ins. 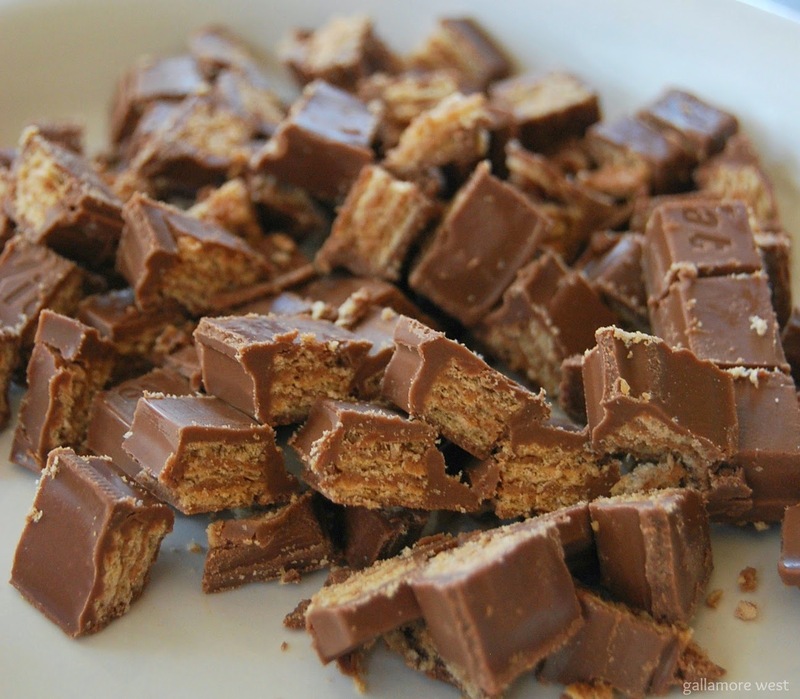 I chopped up a huge Reese's candy bar, a huge Butterfinger candy bar, and a huge Kit-Kat bar. All of these were giant sized bars that I bought at Walmart in the candy aisle. We had never seen candy bars that big, so the boys were excited to try them. 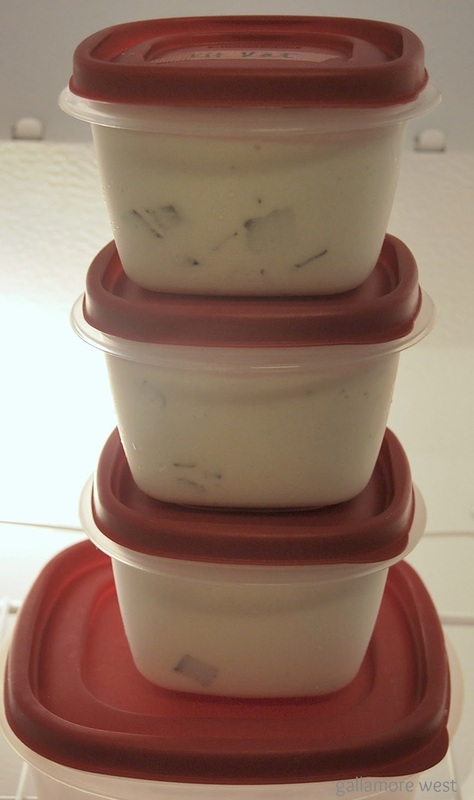 Once the ice cream was creamy and had thickened up enough, I scooped it into four freezer-safe containers that have lids. 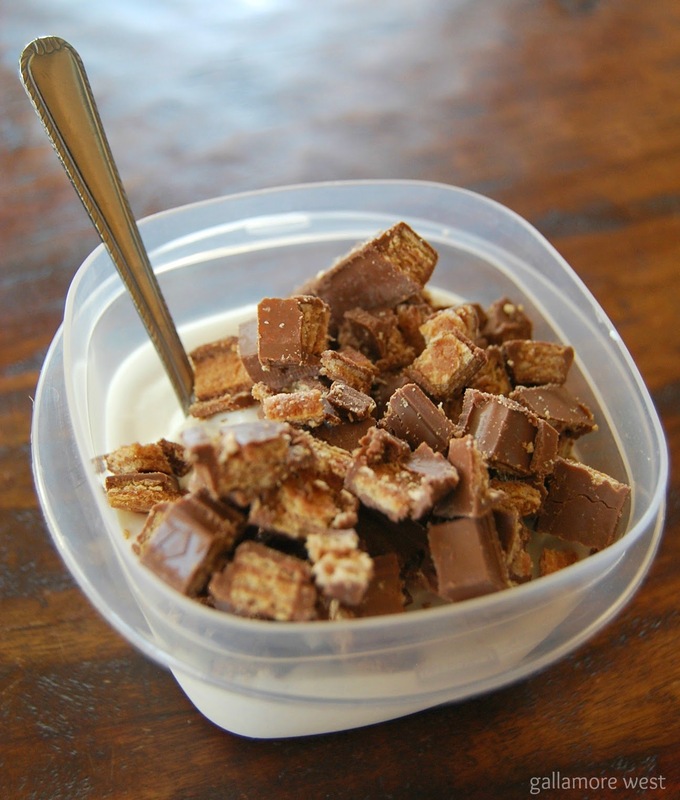 Then we added in the candy bars to 3 of 4 containers (we left one plain vanilla for our vanilla loving baby). After adding in our candy bars, we labeled each container with washi tape and put them in the freezer. 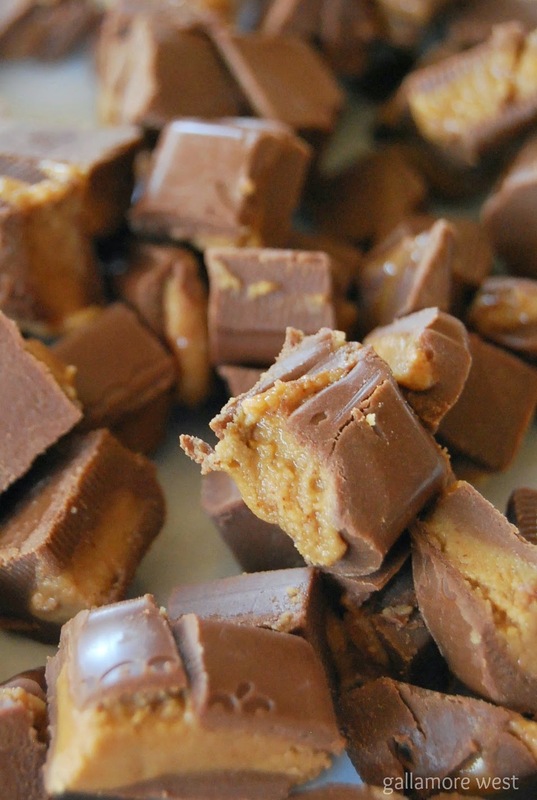 You'll need to freeze them for at least 2 hours. 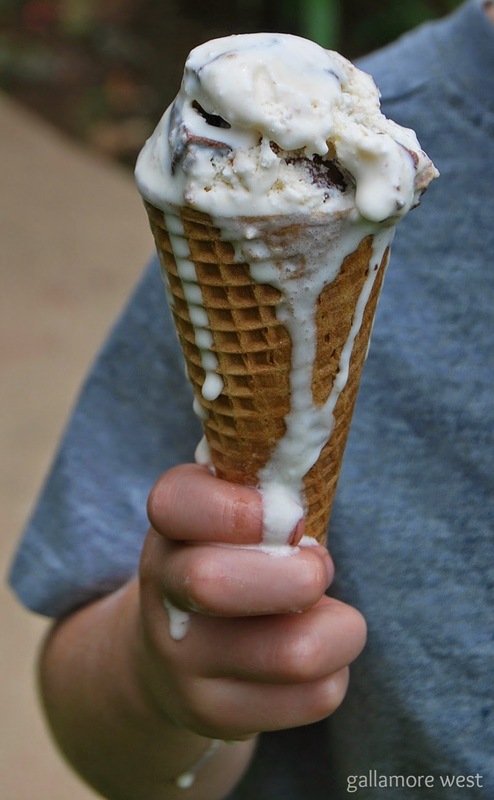 Once your ice cream has thickened up more in the freezer, take it out and enjoy. Each of our boys loved picking out their own special flavor. 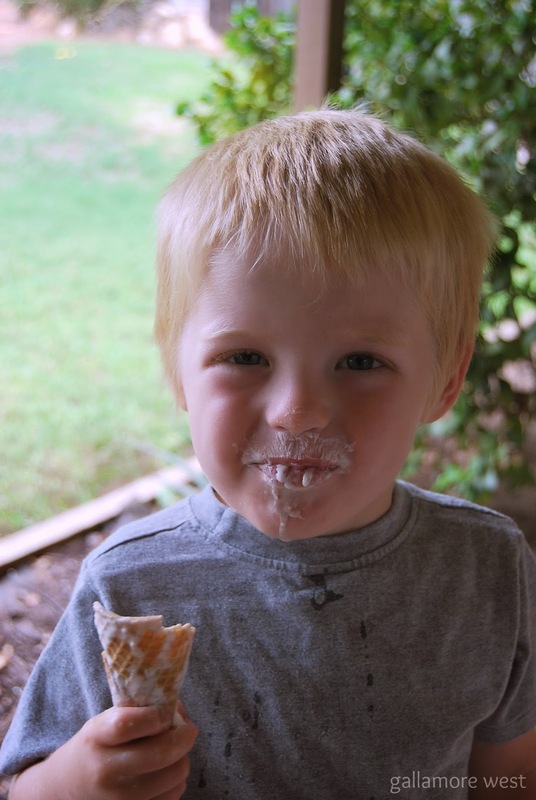 We always go outside to eat ice cream because these boys are MESSY! 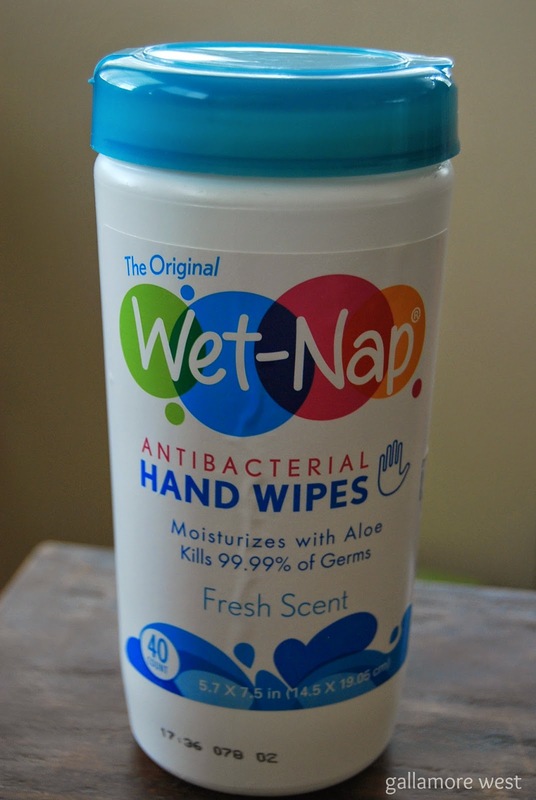 This Wet-Nap container has been my lifesaver this summer because they are so soft that the boys actually love to clean their own hands with them. Wet-Nap is often located in the napkin aisle at Walmart, but sometimes near the pharmacy also. They're a great deal at Walmart because of their everyday low prices, but grab your coupon here for an even better deal and pick some up while supplies last to keep on hand to keep your kids hands clean too. They are so soft, are made with moisturizing aloe, and each wipe is strong enough to clean up even the stickiest of ice cream messes... really, we know all about sticky messes here! Fun! Love the picture of you and your boys all lined up in a row with their ice cream...super cute.